Students at Genesis Preparatory School are expected to arrive clean, well-groomed, and dress code compliant every school day. For both boys and girls, the dress code requires that they wear khaki, dark blue, black, or plaid shorts or pants (girls may wear skirts as well) and a well-fitted GPS polo shirt or a GPS sweatshirt, hoodie, or jacket. Athletic shoes or sandals are permitted, and dress shoes should be worn when asked for by the administration. Genesis Schools has partnered with Ideal School Apparel for Genesis Preparatory School uniforms. Please also note the following dress code regulations. All students are expected to abide by the following requirements. Any student who receives a dress code violation will go to the office for a change of clothing. Each school day is essential for students to receive instruction, practice new skills, and participate in activities that will help them achieve the success they desire. As a result, attendance is an important part of the expectations we have for our Genesis Prep students. The school day begins at 8:00 am, but students should arrive with adequate time to gather necessary materials from their lockers and arrive at their homeroom prior to the 8:00 am bell. PARENTS MUST CALL THE SCHOOL BETWEEN 7:30 AM AND 8:30 AM TO REPORT AN ABSENCE on the day of the absence. Parents and students should make every effort to schedule appointments for after school hours. Documentation from the doctor must be provided in order to be excused for an absence for more than three days or for a scheduled doctor’s appointment. Attendance will be taken in each class. MORE THAN FIVE UNEXCUSED ABSENCES WILL RESULT IN LOSING CAMPUS PRIVILEGES. Tutorials are daily from 2:30pm to 3:00pm. Students must be in tutorial if they are on campus. Equally important to each student’s education is being in class on time. Students are expected to be seated in class when the bell rings. Unexcused tardiness to any class during the day is as unacceptable as a student at Genesis Prep as it would be for any employee at any job. We are working to help prepare our students for the realities of the world they will enter, one of which is the need to be present and ready to work on time. 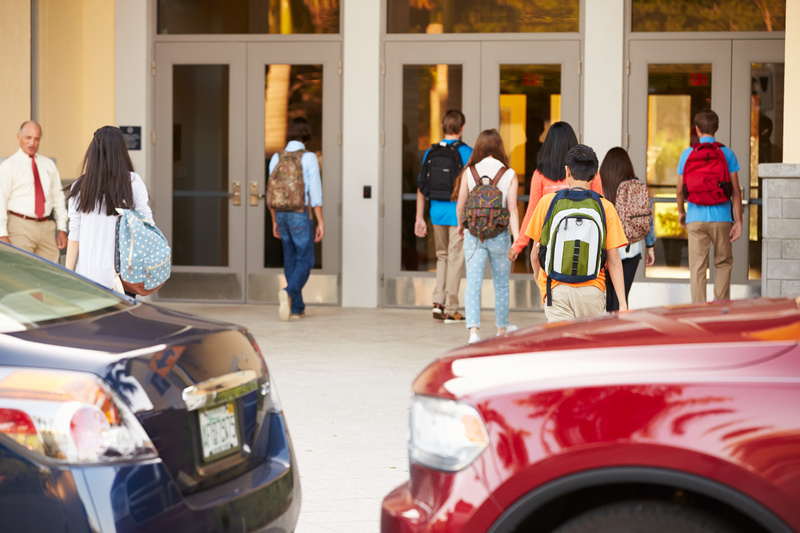 Consequences for unexcused tardiness range from warnings to campus beautification assignments to detention to the potential for promotion or re-enrollment being denied. As a school community, we believe strongly in leading an honorable life, both on campus and off. Every student at Genesis Preparatory School must sign our Honor Code, which requires each student to agree to uphold the high standards of honor that Genesis Schools stands for and to treat others with dignity and respect. Our behavior reflects the kind of person we are, and our actions bring consequences both intentional and unintentional. Acting honorably brings rewards. Others see you as trustworthy, ethical, and credible, holding you in high esteem as a person of integrity and character. Signing the Honor Code means that students will strive for academic and personal honesty. Each student at Genesis Preparatory School is expected to refrain from any activity that involves: theft of material or intellectual property, dishonesty in dealings with others, cheating (including plagiarism, collusion, and cheating), or harassment or bullying. While acting with honor brings positive consequences and an honorable reputation, acting dishonorably also has consequences. When you behave with disrespect or dishonesty, you teach others to distrust or discredit you. Understand that violating the Honor Code may bring academic or disciplinary action ranging from detention to suspension or expulsion.